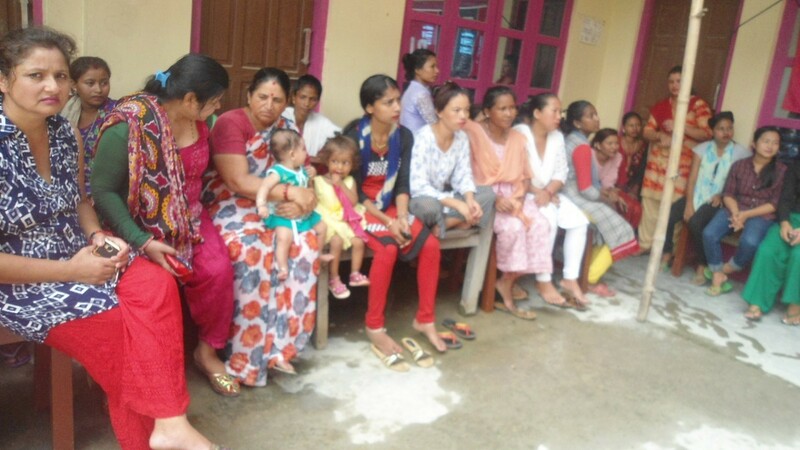 The Women’s Hub Project is a joint commitment by the Women’s Foundation Nepal and the Global Women Project Australia to empower women in Jhapa and Sunsari of Nepal. This project aims to empower women to become entrepreneurs, leaders alongside their male counterparts, and ensure they have the skills, experience, knowledge, and networks to succeed. The flood 2017 in the districts obstacle different activities of the WHUB project. 400 families were supported with different relief materials as food, blankets, water, utensils etc. Members of WHUB were actively involved in relief distribution program in three districts in coordination with with different stakeholders and potential partners in preparation for distributing the relief to the flood victims. In order to provide the most benefit of the project, the project has been promoting the women participation in all the steps of project process. In short, the project have promoted women participation in all project process and activities to make sure they will get the most benefit from the WHUB project. To achieve the project objectives, the project team have work closely with the provincial administration, concern departments and ministries. This strong partnership will support the project management in the future project implementation in achieving the project target.